One step forward, two steps back. When it comes to China's endangered animal protections, it seems like it's always an uphill fight. China is one of the world's biggest importers of illegal animal products like elephant tusks, rhino horns, and tiger bones. For a long time, the world had been waving a finger at Beijing begging them to take action before the demand for these illicit products pushed these at-risk animals to extinction. That's why animal lovers were overjoyed when last year, China's long-awaited ban on ivory came into force. Within months, conservationists began to see positive effects, demand had gone down. The prohibition of ivory was welcomed to previous bans on the use of tiger and rhino parts that passed 25 years ago. But it seems like that news was too good to last and this morning many people were devastated to read that Beijing had lifted its ban on the use of tiger and rhino products in traditional medicines. How is this even possible. Just like ivory demand has gone down since the ban became law, experts expect that, now that tiger and rhino products are legal, their demand could skyrocket. Let's put this into context. In total there are less than 30,000 in rhinos left on Earth separated into five different species. From the Javan rhino which numbers in less than 70 to the white rhino at 20,000. These animals are all teetering on the edge. 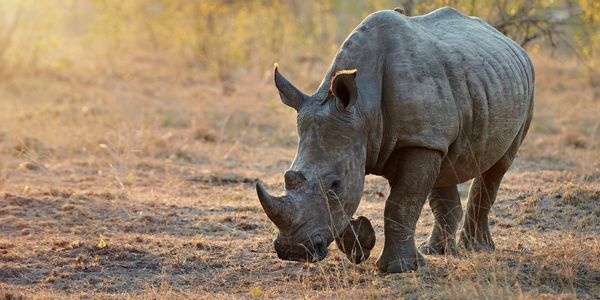 Currently, 3 rhinos are poached per day around the world. Expect that number to climb now that China has made it "A-OK" once again to use rhino products. For the world's tigers, the numbers are even more depressing. In total, there are less than 4,000 of these great cats in the wild spread throughout the entire Asian continent. While these cats walk the tightrope of survival, China seems to be willing to cut the string. The world cannot afford to risk increasing demand for these endangered animals. China must reverse this terrible decision and reinstate the ban on rhino and tiger products. A world without these amazing creatures is not a world we want to live in. Great news! Your voices are being heard! China has postponed lifting the ban on tiger and rhino products. But the fight isn't over. Share this petition to keep the pressure on.